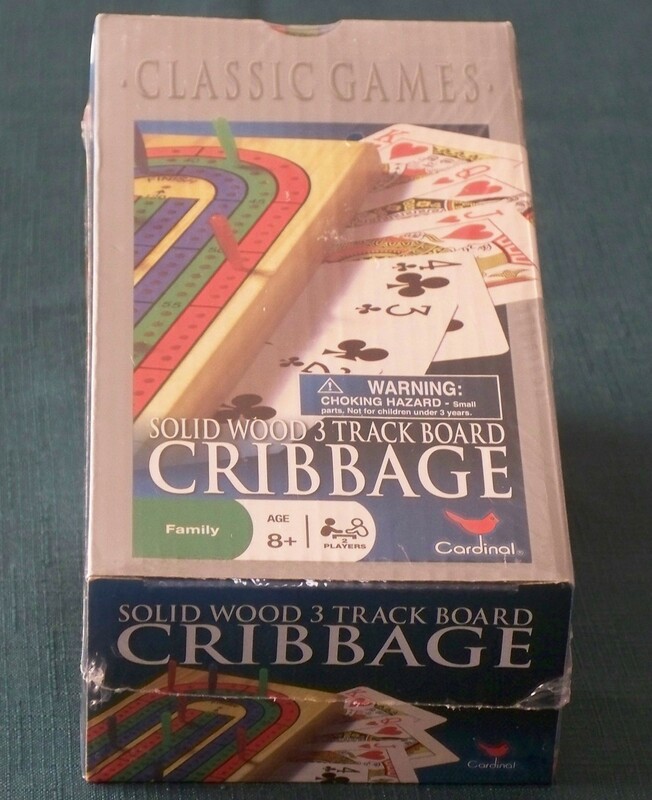 Three-track solid wood Cribbage board by Cardinal. Includes the pegs and a deck of a cards. New in box. Box measures 7" x 4". Ship to U.S. addresses only.